For those of you that are fortunate enough to own a MF-104 analog delay with MIDI input, I have made a midi controller stomp box that enables you to save presets for the moogerfooger. I found it to be super useful when playing with the moogerfooger, especially in a live setting. Check out the video linked below, it's fairly in-depth and goes through device capabilities, operation, and suggested applications. I originally built this device for myself a few years ago and posted on this forum which generated a lot of interest (I ended up making one for Trey Anastasio of Phish!) - since then I've made some refinements and now it's for sale! ($299 USD). Would love to hear what you all think, I'm learning as I go here. I would be open to offering discounted DIY kits if there is enough interest, let me know! pretty cool, too bad I have the old school black and white version. However, I recently made a cassette delay, put it after the 104 just to experiment, and only now am reaching the full potential of the 104Z. The reason being is that the second delay makes crazy delay modulations much more musical/forgiving than alone, so if i wanted to do crazy delay time moves, i'd always be a little leery as unlike most synth people, i don't like to delve into "bleeps and bloops" too much and depart from "music". But now, I can go off into crazy time trips and still sound musical. Not a Phish fan, but I also provided Trey with a product once, and this chick I knew provided him with a service, after this other chick I knew denied him that service, haha. vongon wrote: Would love to hear what you all think, I'm learning as I go here. It's odd that you didn't include the seventh Smooth S&H LFO choice on your dial. It would be very useful to have as you can otherwise only get to it via CC# 96-127. That's a very good point Daniel. Even odder is the fact I haven't seen it: I saw the waveforms and without going into details, thought "cool, it's possible to select any of the 7 LFO waveforms without any cheat code!". Very nice! A great unit for live playing! Good luck with it! Good catch! Just to keep it as simple as possible, I decided to only include parameters that are available on the front panel because when I started to include the "hidden" parameters it added (in my opinion) too much complexity. For example, the smooth s&h lfo waveform is only "smooth" if I also include the parameter for time slew rate (CC# 5) as well. 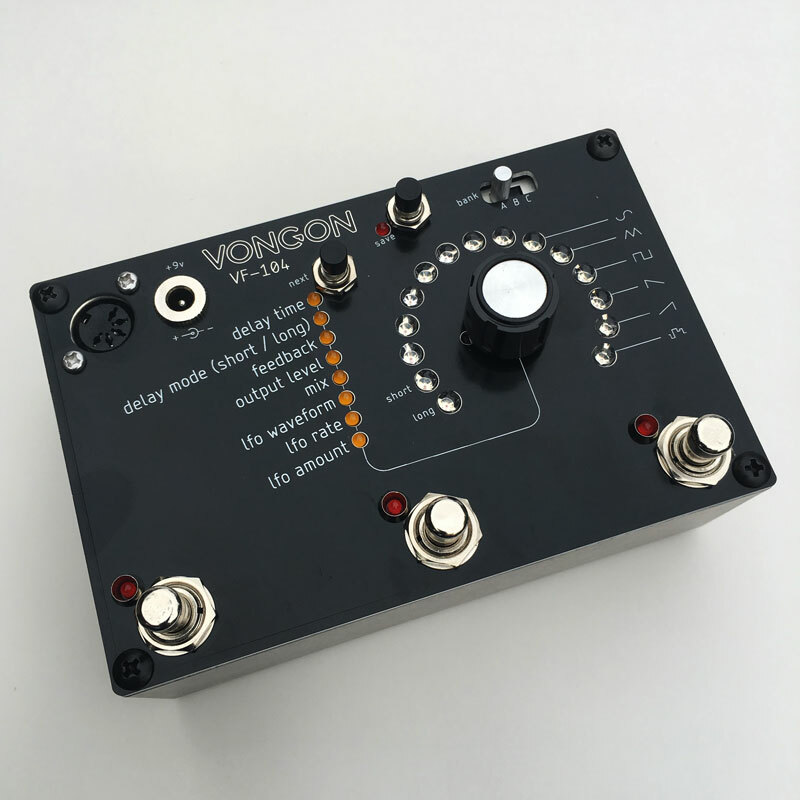 But I have heard suggestions for building a box that would only include the "hidden" parameters -- such as smooth s&h, time slew rate, delay time multiplier, filter bright/dark -- which sounds like a really cool idea!